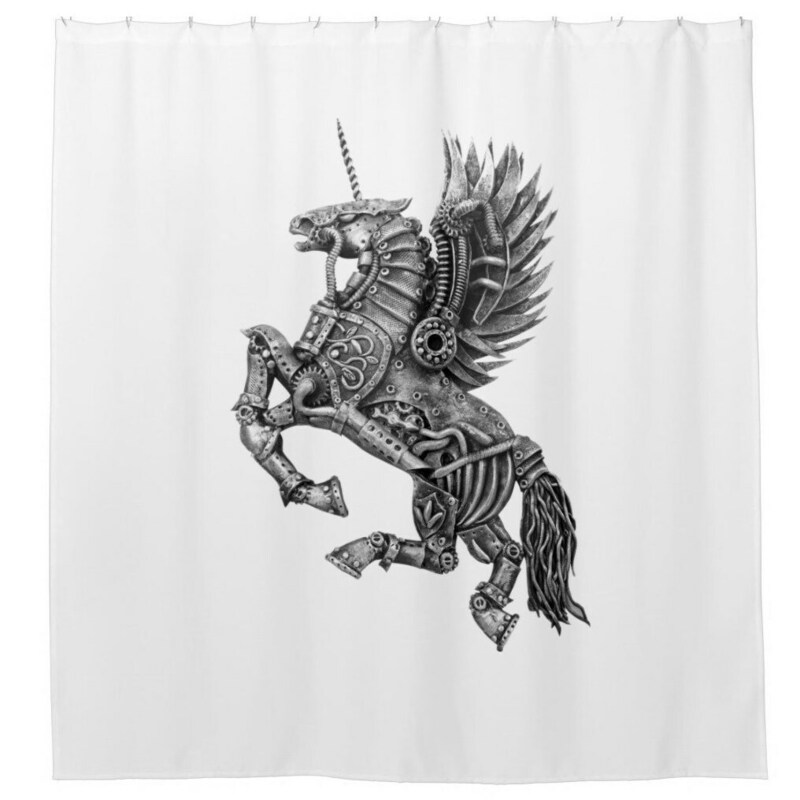 Our stunning Steampunk Winged Unicorn shower curtain will add an eclectic vibe to your bathroom. 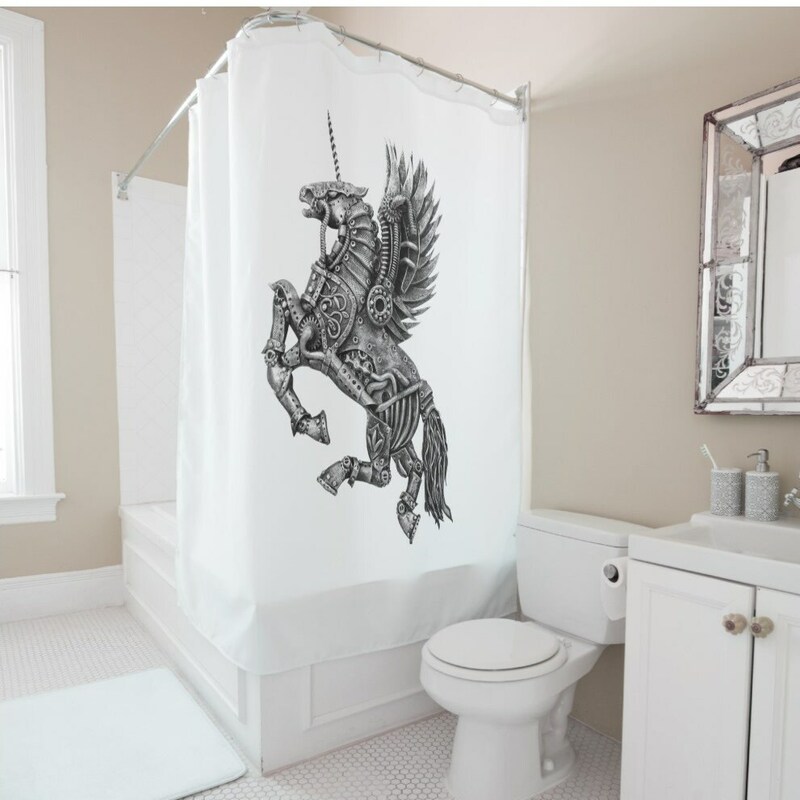 Made from quality, waterproof Oxford cloth, the Steampunk Winged Unicorn is full of unique chic and will have you the envy of your friends. Price includes FREE SHIPPING worldwide.